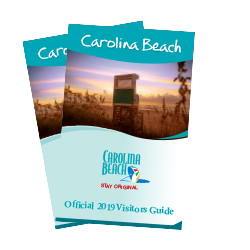 Check out the latest articles, blogs and press releases for Carolina Beach to stay informed on all the news and special happenings around the town. When the kids are away, the parents will play! Traveling with family has its perks, but so does escaping every once in a while and taking a trip sans-kids. At Carolina Beach, N.C., parents can get away and let loose guilt-free with less crowds and affordable off-season lodging rates. Whether you want to dance the night away or partake in outdoor activities like surfing and hiking in milder temperatures than the summertime, Carolina Beach is well suited for an adults-only trip this fall. Without kids, you’re free to roam wherever you want and do whatever you want! Why not try something spontaneous like a morning hike through miles of trails or a kayak trip with Kayak Carolina at Carolina Beach State Park? Take a surf lesson from the professional surfers with Tony Silvagni Surf School. The waves are mellow at Carolina Beach, making it the perfect place for beginners to test their skills. Cool off and relax with a refreshing tropical drink. Overlooking the ocean, Ocean Grill & Tiki Bar has indoor seating with a view, as well as an outdoor tiki bar serving up ice-cold cocktails to put you in an island state of mind. If craft brews are more your style, head over to Good Hops Brewery to check out this family-owned shop offering over eight seasonal taps at any given time – the hardest part is picking your favorite one! Indulge in delicious, local cuisine by candlelight at a romantic dinner for two. Order the catch-of-the-day or the local-favorite Grouper Chowder at Deck House. Housed in an old church, Deck House has been serving the freshest seafood for over 18 years. If you prefer to overlook the water, head to Gibby’s Dock and Dine for a delicious steak while enjoying a view of the Intracoastal Waterway. Many dining options are close to the Boardwalk, making them perfect spots to dine before an evening, oceanfront stroll. Pick up a sweet treat for your walk like handmade fudge from the Fudgeboat or soft serve from Krazy Kones, both located on the Boardwalk. Forget about the stresses of daily life with a night out on the town. 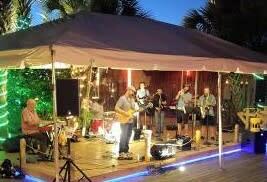 Grab a pint and relax at Carolina Beach’s only beer garden, Hoplite Pub & Beer Garden. If dancing is your style, grab your favorite boogie partner and head over to Seawitch Café and Tiki Bar for live music from local bands. Choose from over 350 beers in the Fat Pelican’s walk-in cooler, then play a game of foosball or a nostalgic arcade game!